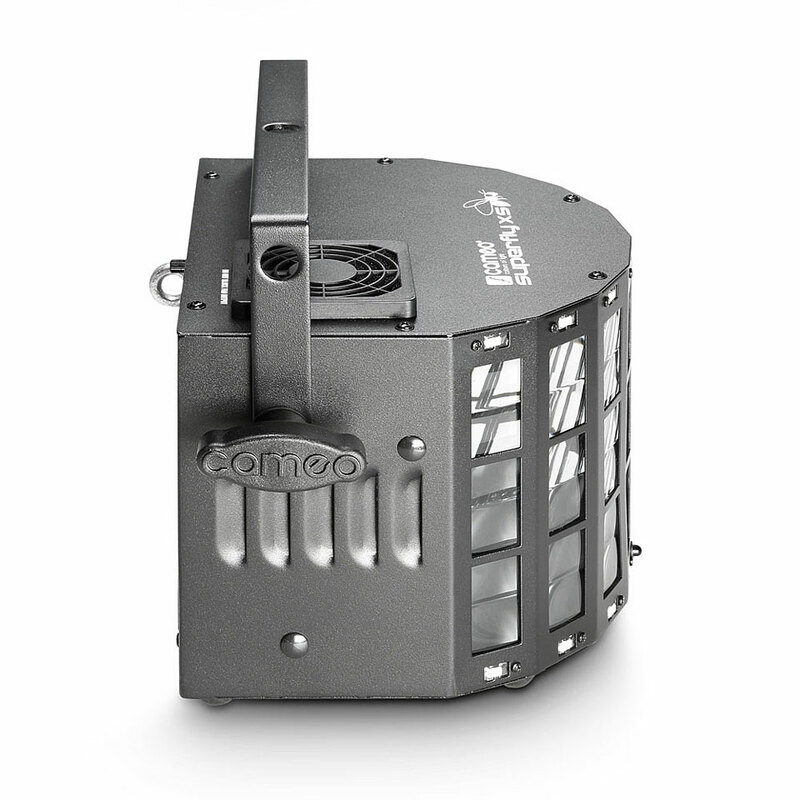 The Cameo SUPERFLY XS features 4 durable, 3 Watt RGBW LEDs and 48 precision lenses for an effective derby effect. Clearly arranged, wide beams cut through the room with intense colors and maximum luminosity. 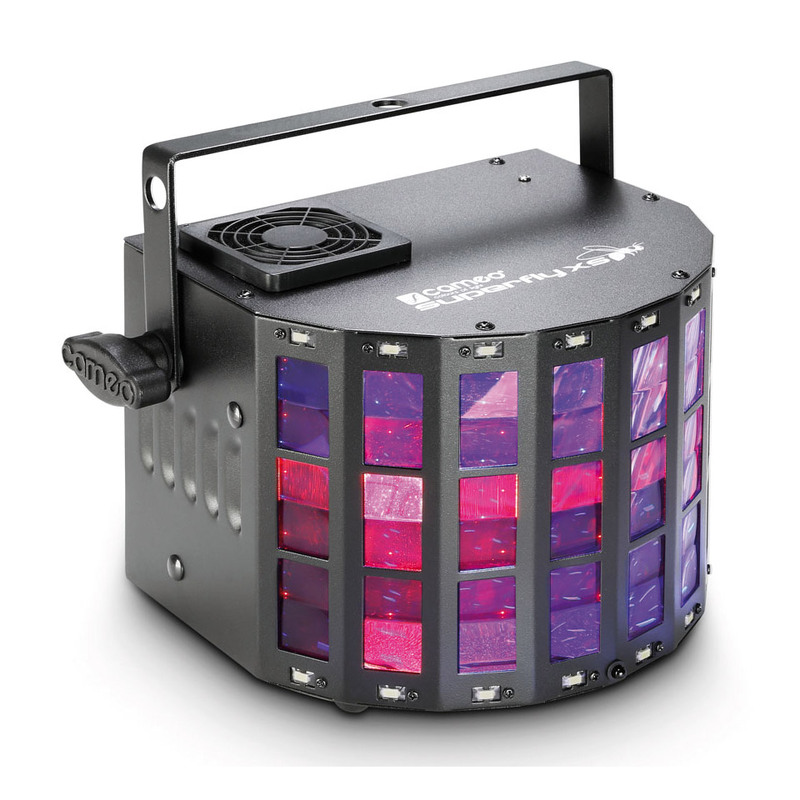 The integrated strobe is equipped with 16 white 0.5 W LEDs and can also be used individually, like the derby effect. 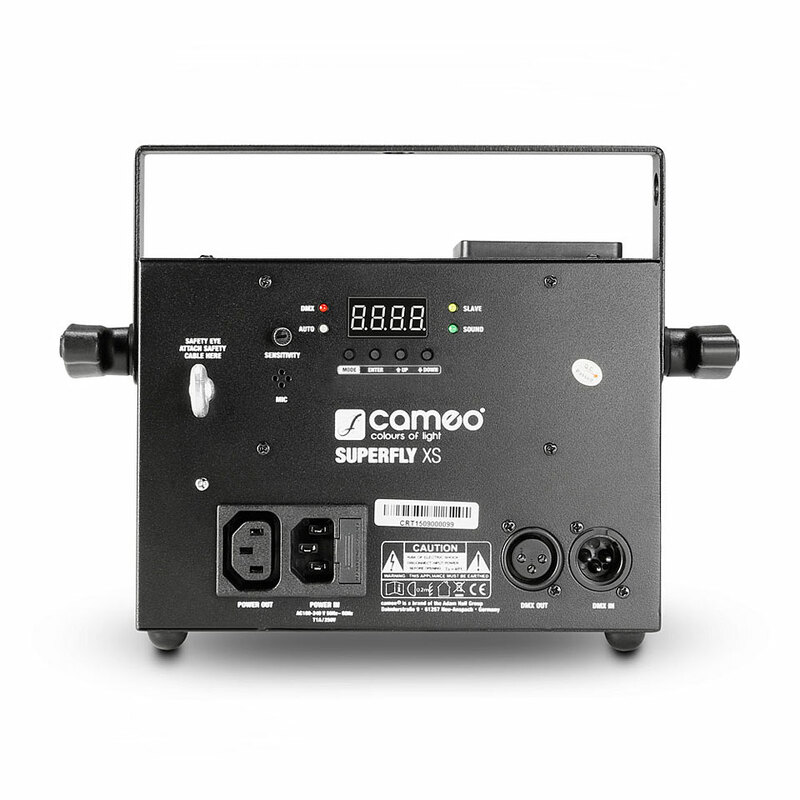 The SUPERFLY XS can be controlled in the DMX modes 1-channel and 5-channel, through music or automatically with the integrated programs. It can also be used as master, slave or standalone. 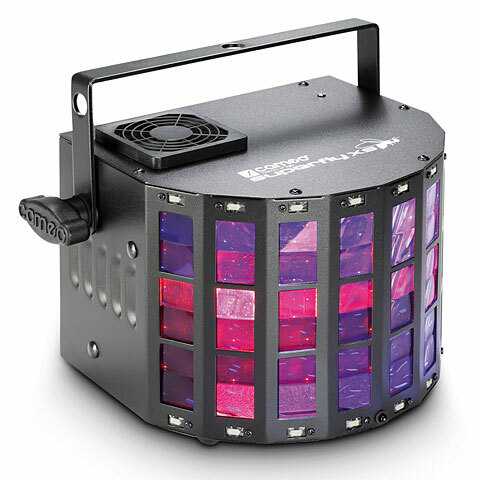 A bright display with 4 function buttons is used for intuitive operation, in addition LEDs indicate the operating mode. The solid black metal housing of the SUPERFLY XS is cooled by a silent fan and has an adjustable universal mounting bracket and locking ring. 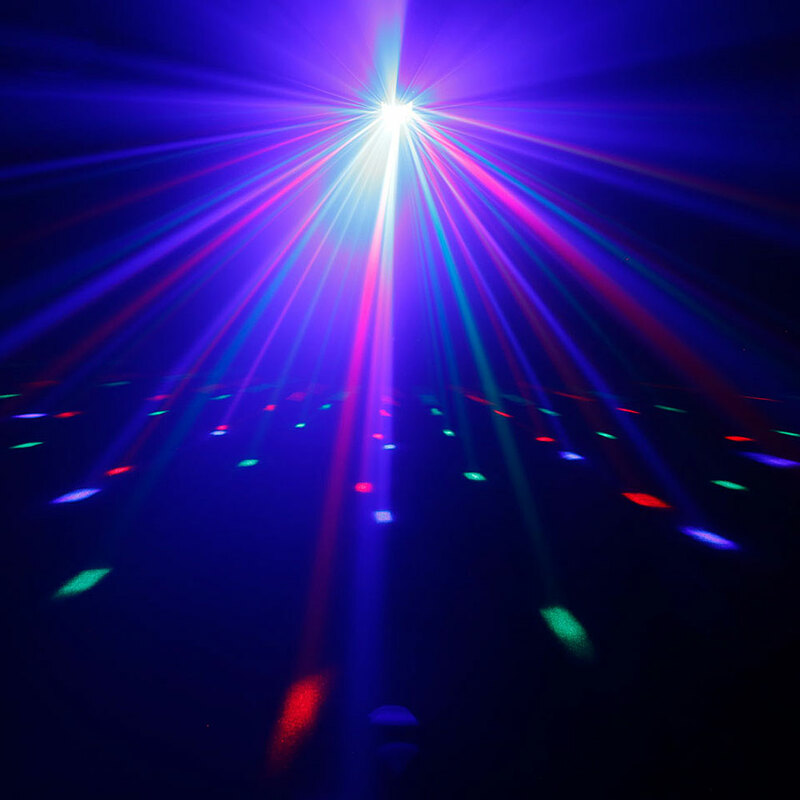 3-pin DMX sockets and the IEC mains input and output enable the parallel connection of several devices. 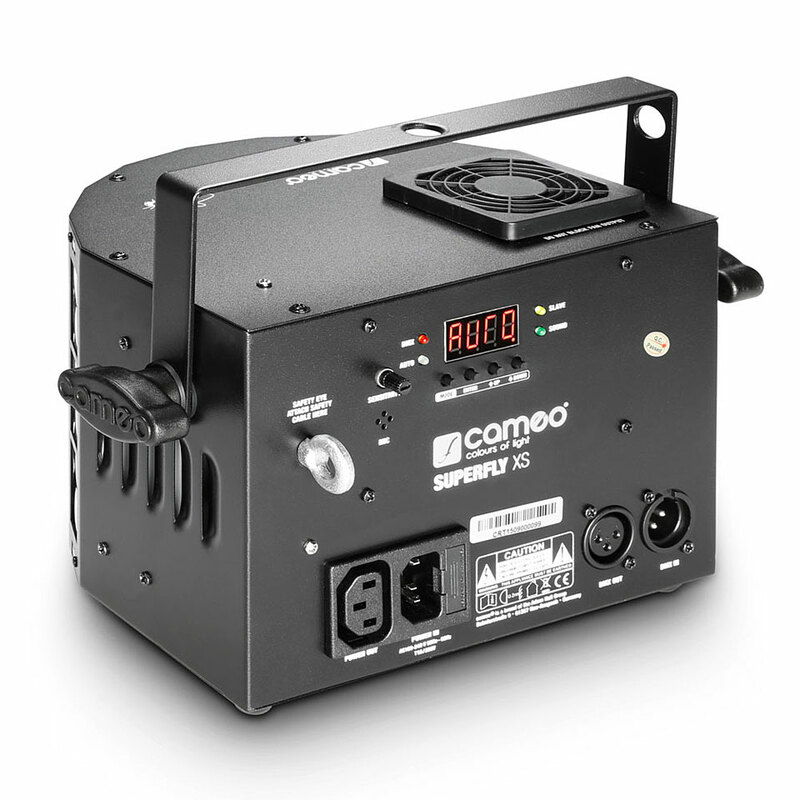 The Cameo SUPERFLY XS can be operated on all mains voltages from 100 - 240 Volt and is supplied with a comfortable IR remote control.